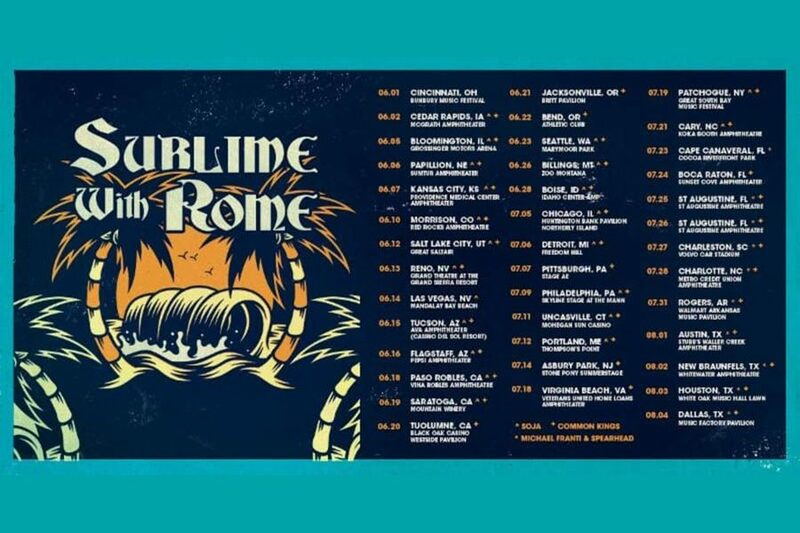 Sublime With Rome have announced U.S. Summer headline tour today with support from Soja. The tour will start June 2nd in Cedar Rapids, IA and end on August 4th in Dallas, TX. The tour will stop in Asbury Park, NJ at Stone Pony Summerstage on July 14th and in Patchogue, NY at Great South Bay Music Festival on July 19th.